February 26, 2015 / Tom R. Pabst, P.C. December 05, 2014 / Tom R. Pabst, P.C. September 25, 2014 / Tom R. Pabst, P.C. Michigan Lawyers Weekly: "Cops claimed chief retaliated, didn't promote - One said he was called liar, slanderer"
Name of Judge: Hon. John H. Gillis, Jr.
Last Offer to Settle: ADR for $40,000 for each Plaintiff, Plaintiffs rejected, Defendants rejected. Defendants never made an offer to settle. Inkster Police Officers Chuck Randazzo, a white man, and Booker Snow, and African-American man, were good and competent and loyal police officers who received awards for courage and exemplary service from Defendant Police Chief Hilton Napoleon before they blew the whistle. However, both police officers voted “no confidence” in the leadership of Chief of Police Hilton Napoleon, because he was violating important rules and regulations regarding how to act in (1) hostage situations, (2) barricaded gunman situations and (3) shootouts in general, thus endangering the lives of police officers under his command, as well as the lives of the citizens of Inkster. This written vote of “no confidence”, which was backed up by a majority of the police officers in the City of Inkster, was then sent to various public leaders, including (1) Governor Snyder, (2) the Inkster City Council, (3) the then-Manager of Inkster, etc., trying to get someone to address these issues before police officers and/or innocent citizens of Inkster got killed. (7) Not promoting Chuck Randazzo and/or Booker Snow to positions of “acting Sergeant” when they had more seniority and more competency and experience than the three white men promoted to the acting sergeant position. In fact, one of the three white men promoted to the acting sergeant position had been fired two times before, which came as a total surprise to Defendant Napoleon on the stand, which is ironic because he told the jury that he was one of the top five investigators in the United States, and even was so good as an investigator that he could objectively investigate himself. Yet, he did not know that one of the men he promoted to “acting sergeant” had been fired two times before! In one of the most poignant moments of the trial, Chuck Randazzo actually broke down and cried when describing how Defendant Napoleon wrecked his police career by falsely branding him “a racist, a liar, incompetent, and someone who should not be wearing a badge”. Chuck Randazzo had previously received awards for catching bank robbers when shots were fired, showing courage in the line of fire, and being an exemplary police officer, all of which occurred before he blew the whistle. Significantly, Defendant City hired an independent agent to investigate its own police department, whereupon Defendant City’s own independent investigator found (1) that the Plaintiffs’ whistleblowing vote of “no confidence” was “well-deserved”, (2) that the safety of police officers had been compromised by Defendant Napoleon, (3) that the police department was “leaderless” under Defendant Napoleon, and (4) Defendant City’s own expert recommended that Defendant Napoleon “must go as the police chief”, and a new police chief must be hired. All of these “findings” were exactly what Plaintiffs had said in their whistleblowing vote of “no confidence”. So the jury witnessed the spectacle of one co-Defendant, Defendant City, blaming the other co-Defendant, Defendant Napoleon, taking exactly the position the Plaintiffs were asserting in the litigation. Defendants hammered and pounded at trial to the jury that Defendant Inkster was broke, could not pay their bills, they were low on money, and they were so low on money that they had to reduce the police department to a skeleton crew of 25 police officers. This was Defendants’ major “defense” at trial. Did Phillip Randazzo, Plaintiff, engage in protected activity under the Michigan Whistleblowers’ Protection Act? Was the protected activity Phillip Randazzo, Plaintiff, engaged in one of the reasons that made a difference in Defendants’ actions against Phillip Randazzo, Plaintiff? Did Phillip Randazzo, Plaintiff, suffer any damages as a result of the Defendants’ actions against Phillip Randazzo, Plaintiff? What is the total amount of economic loss to the present date suffered by Phillip “Chuck” Randazzo, Plaintiff? What is the total amount of FUTURE economic damages to be suffered by Phillip “Chuck” Randazzo, Plaintiff? What is the total amount of non-economic loss to the present date suffered by Phillip “Chuck” Randazzo, Plaintiff? What is the total amount of FUTURE non-economic loss to the present date suffered by Phillip “Chuck” Randazzo, Plaintiff? Did Booker Snow, Plaintiff, engage in protected activity under the Michigan Whistleblowers’ Protection Act? Was the protected activity Booker Snow, Plaintiff, engaged in one of the reasons that made a difference in Defendants’ actions against Booker Snow, Plaintiff? Did Booker Snow, Plaintiff, suffer any damages as a result of the Defendants’ actions against Booker Snow, Plaintiff? What is the total amount of economic loss to the present date suffered by Booker Snow, Plaintiff? What is the total amount of FUTURE economic damages to be suffered by Booker Snow, Plaintiff? What is the total amount of non-economic loss to the present date suffered by Booker Snow, Plaintiff? Plaintiffs were never disciplined, and did not lose their jobs. This case is significant because it shows that juries will protect police officers who have the courage to speak up and do the right thing to protect citizens in the community and their fellow police officers when their lives are jeopardized by incompetent police leadership at the top. 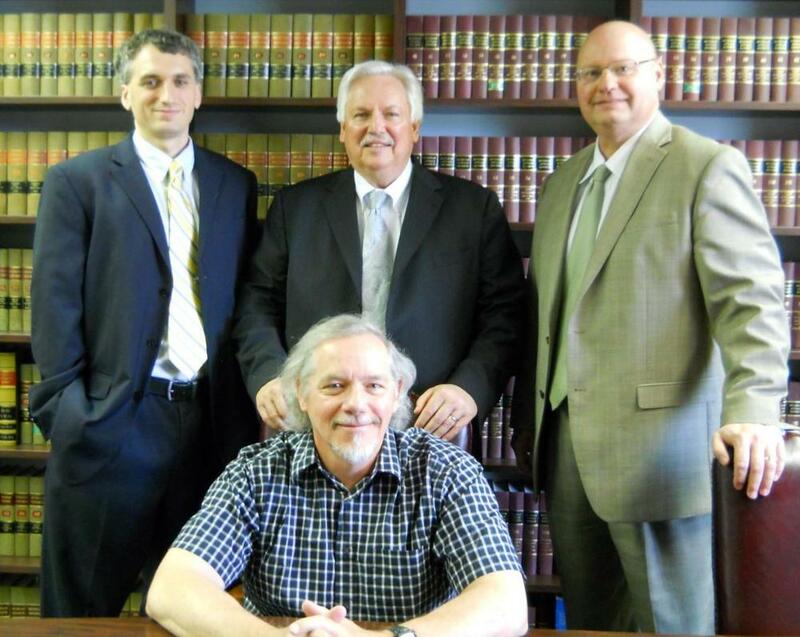 *For more than 30 years, veteran civil rights attorney Tom R. Pabst has been successfully representing people in Genesee County and surrounding areas. His vast experience has proven effective in protecting the rights of his clients, and thwarting the injustices they have been subjected to. Time and again, his track record has shown that Tom R. Pabst is one of the leading civil rights attorneys in the State of Michigan. March 18, 2014 / Tom R. Pabst, P.C. Michigan Lawyers Weekly: "Ex-school official claimed smear campaign - She said new boss told her ‘resign or be fired’"
Mlive: "Attorney: Jury's $1 million verdict vindicates embattled ex-GISD administrator"
Mlive: "GISD loses more than $500,000 gamble taking ex-administrator's lawsuit to trial"
ABC12: "Jury orders GISD to pay Beverly Knox-Pipes more than $1 million"
ABC12: "Jury rules in favor of woman accused of stealing from GISD"
Sixteen year loyal employee and Assistant Superintendent Beverly Knox-Pipes was instrumental in the development of GenNET, a fiber optic tele-network system used by Defendant GISD to disseminate and provide great learning programs to school children in 21 different school districts throughout Genesee County. One of the schools, Clio, wanted out of the long-term contract it had signed with GISD because, it claimed, Clio was being forced to pay (as “costs” passed through) for multiple lavish trips, booze, and big tips by male board members and the former male superintendent of GISD. When GISD sued Clio to enforce the contract, Clio counter-sued to recover monies it paid for the men’s multiple extravagant trips. Beverly Knox-Pipes helped GISD’s attorney in the lawsuit, and was subpoenaed to testify. The new Superintendent, Defendant Lisa Hagel, knew that Beverly Knox-Pipes and the former male Superintendent previously had a sexual affair outside the workplace, which the evidence showed ended well before Defendant Lisa Hagel signed a 3-year contract with Beverly Knox-Pipes on September 1, 2011. New Superintendent Defendant Lisa Hagel did not “trust” Beverly Knox-Pipes to keep information secret from Clio and the other School District Superintendents, so Defendant Hagel fabricated and concocted a $480 cell phone bill that she claimed Beverly was responsible for, and, incredibly, gave Beverly a “resign or be fired” ultimatum stating, “I have enough to terminate your employment right now” ($480 disputed phone bill). This “resign or be fired” ultimatum was given in the Fall of 2011. Superintendent Defendant Lisa Hagel warned Beverly: if you don’t resign, all of this might become public. To her great credit, Beverly Knox-Pipes refused to resign, stating, “I have done nothing wrong, I am not going to resign”, whereupon Defendant Lisa Hagel quickly settled the Clio lawsuit in which Beverly had been scheduled to be deposed. (6) Defendants changed/altered certain documents memorializing the October/November 2011 Hearings where the “resign or be fired” ultimatum was given, so as to leave out references to GenNET and the lawsuit. Finally, the truth came out in front of the jury when male Board Member Mr. Ragsdale was asked, “Why did you spend $76,000 to create a 4-inch book when you already had enough to fire her before creating the book?”, whereupon Mr. Ragsdale answered, “To create a defense to this lawsuit”!! “Question to address – why are these all of a sudden a problem when b4 they were approved [trips that Beverly Knox-Pipes took]”. Indeed, Tom R. Pabst asked Defendants’ witnesses to answer that question for the jury, but they had no good answer. A motion is pending to assess more than $160,000 in attorney fees and costs, which, together with interest, will be the total verdict amount to approximately $1,290,000. December 19, 2013 / Tom R. Pabst, P.C. Mlive "Genesee County Road Commission pays $185,000 to settle reverse discrimination, whistleblower lawsuit"
Last Offer to Settle: ADR for $65,000 for each Plaintiff, Plaintiff Schwarz accepted, Defendants rejected. Robert McKenzie and Richard Schwarz, hardworking long-time white employees of Defendant Road Commission, were unlawfully punished and retaliated against for having the courage to do the right thing in the workplace. Specifically, their two African-American bosses, favored black employees over white employees when it came to the terms and conditions of employment, creating two sets of rules, one set of rules for white employees, and another set of rules for black employees. There was one African-American employee in particular whom Plaintiff McKenzie knew had a history of showing up to work impaired from alcohol, and had a concern that he was going to show up to work again in that condition. Knowing that the suspected alcohol-abusing employee was supposed to drive a big truck filled with heavy materials out on the public roads and highways, Robert McKenzie and Richard Schwarz reported this to employees and supervisors of the Genesee County Road Commission. No doubt because the public could be put in danger, Plaintiffs’ white supervisor actually told Robert McKenzie, “report it to the police”, whereupon Robert McKenzie did report it to police authorities. The African-American employee had, in fact, shown up to work that morning and smelled of alcohol. So, Plaintiff McKenzie contacted and alerted the police that this man would be on the roads. Plaintiff Schwarz assisted both McKenzie and the police officer who arrived at the job site in their investigations. This same African-American employee was someone that the African-American Defendant Supervisors favored and claimed did not drink on the job. However, when the employees of the Road Commission where deposed, white employees said that they had personally witnessed the African-American employee either drunk or smelling of alcohol on the job. When asked why they did not step up and report this behavior, they responded that they were “afraid of retaliation” from African-American Supervisors. Ironically, although Defendant Supervisors denied that they knew that one of their favored African-American employees was a drunk, that particular employee filed a lawsuit of his own, and sued Defendants in Federal court because he claimed they knew he was a drunk and did not accommodate him enough, and that, basically they “failed to accommodate his alcoholism and/or drunkenness”!! In that Federal lawsuit, the African-American employee, whom the Defendant Supervisors were grooming to be a supervisor over white employees with more seniority and more competency, admitted that he smoked marijuana in the workplace, and in fact, smoked marijuana driving equipment down the local expressways in Genesee County, particularly, I-475. Defendants claimed they had no knowledge of any of this. The trial started November 15, 2013, and Plaintiff Richard Schwarz settled his case on day two of the trial. December 10, 2013 / Tom R. Pabst, P.C. In a retrial, a Wayne County jury found liability for all four defendants and issued a $721,400 award, including $52,000 in punitive damages against the head of human resources. November 13, 2013 / Tom R. Pabst, P.C. May 07, 2013 / Tom R. Pabst, P.C. Submitted to Michigan Supreme Court by Tom R. Pabst, P.C. Michigan Lawyers Weekly: "Motive doesn’t matter in whistleblower suits"
Flint Journal : "Whistleblower case overturned - Michigan Supreme Court Rules in Favor of Former Burton Police Chief"
Legal Newsline: "Mich. SC: Whistleblower law doesn’t require any ‘motivation’ be proved"
Mlive: "Michigan Supreme Court reverses appeals court decision on lawsuit filed against Burton by former police chief"
February 07, 2013 / Tom R. Pabst, P.C. Attorney Michael Kowalko won a Jury Verdict in Genesee County Circuit Court, which took him only 1½ days to try to the jury, and further, it tookthe jury only one hour to deliberate. They found that defendant minor’s conduct was reckless and that there was zero comparative negligence on the part of plaintiff’s minor. Michigan Lawyers Weekly: "Boy’s teeth knocked out by fellow student in golf accident: Jury determines reckless conduct from defendant; case settles following trial"
July 19, 2012 / Tom R. Pabst, P.C. Mlive.com:"Jury Awards $420,000 to Flint security guards in whistle blower lawsuit"